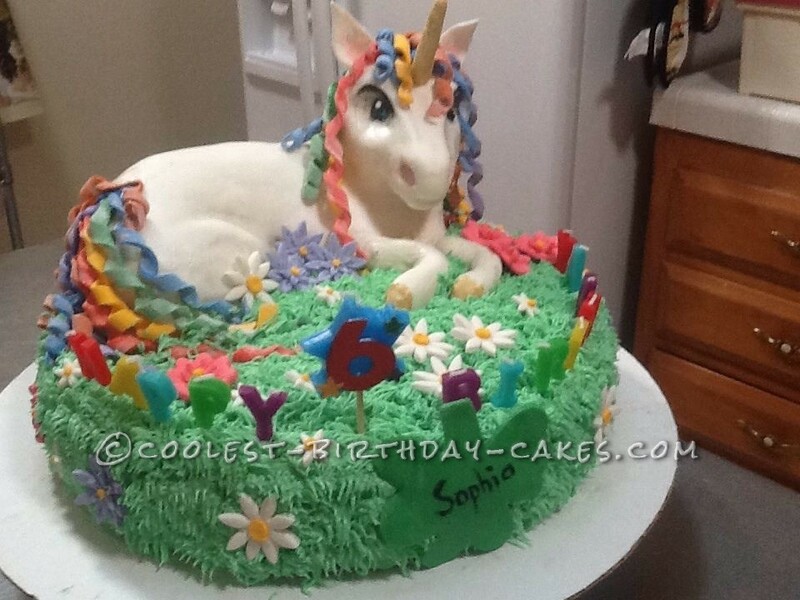 My granddaughter asked me to make her a Unicorn birthday cake for her 6th birthday. I surfed the internet for some ideas and ended up with parts of several cakes. I sculpted the unicorn from Rice Krispies, but it looked more like a cow than a unicorn, so I was praying that once I covered it with marshmallow fondant, it would look more like a horse head. After a little tuck here and there, I was pleased with the outcome. 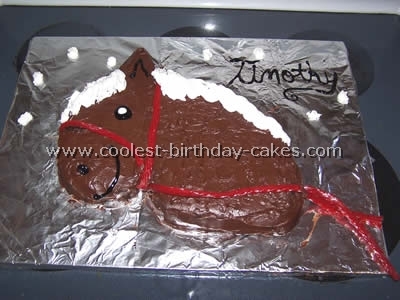 The mane and tail were made out of fondant. The flowers I made out of gum paste. Since my granddaughter likes strawberry cake, I baked a 12″ round strawberry cake with a strawberry and cream filling. The cake was then covered with butter cream, using the Wilton’s grass tip. The cake was an absolute hit for adults and children alike. The kids ended up eating the cake, unicorn and flowers. I loved my granddaughter’s smile on her face. Nice color choice for the mane and tail. Lovely cake.